Vallejo has chosen the finest quality artist’s brushes available to complement their lines of acrylic colors. 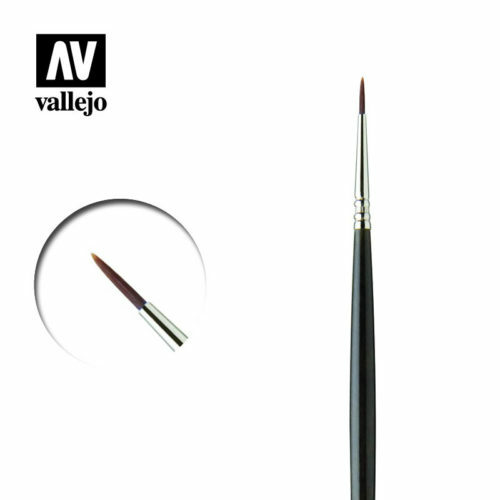 The selection of brushes designed for use with acrylic colors includes brushes in Marta Kolinsky and durable Synthetic hair in a range of shapes and sizes in order to offer the artist the best tool for the work at hand. 3 finest Marta Kolinsky Sable brushes for models and miniatures #4/0, 3/0, 2/0. 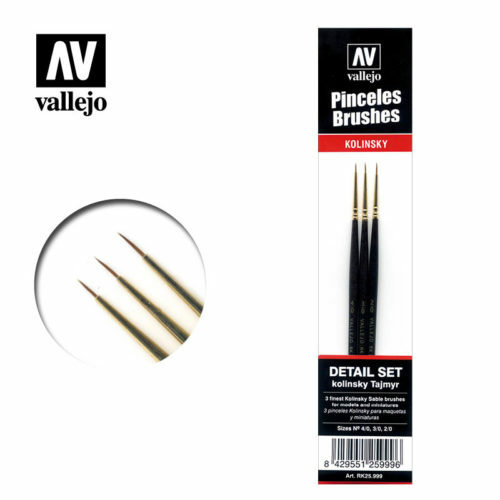 3 finest Marta Kolinsky Sable brushes for models and miniatures #0, 1, 2. 3 Toray brushes for models & miniatures #0, 1, 2. 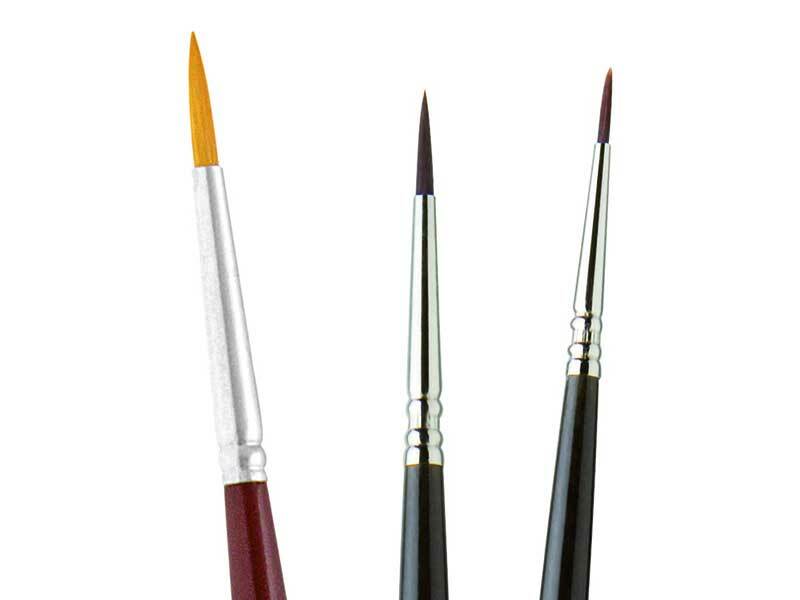 3 Toray brushes for models & miniatures #4/0, 3/0, 2/0. 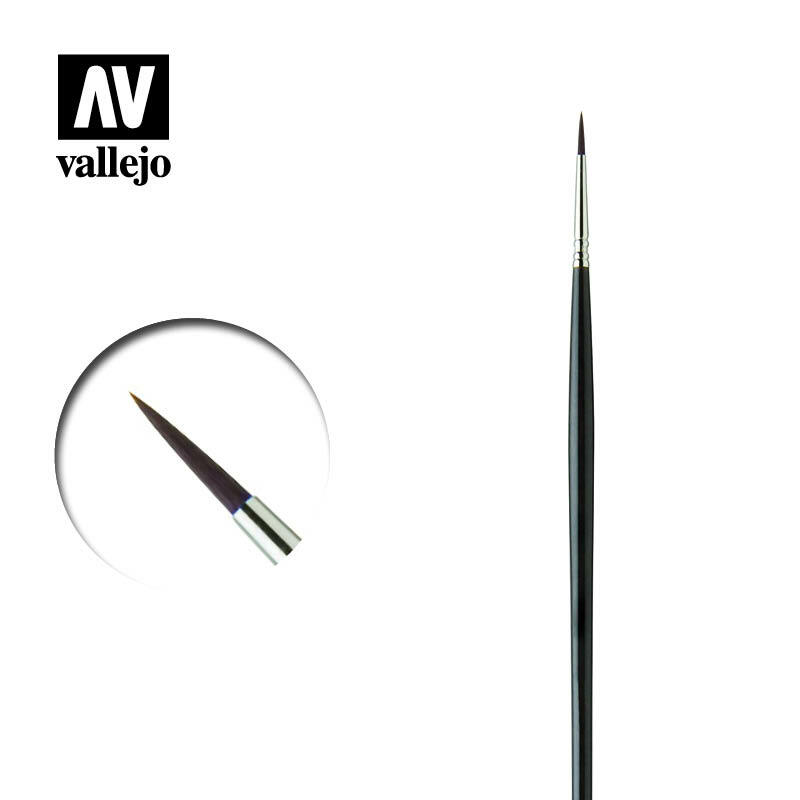 3 Toray brushes; Round 3/0 with triangular handle, 1 Round nº1 and 1 Flat Dry Brush nº4. Camel hair brush for all purposes. Boxes of 12 units. Size: # 1-2-3-4-5-6-7-8-9-10-11-12. Top quality synthetic brushes with graduated filament, absorbent, durable and versatile. Boxes of 12 units. 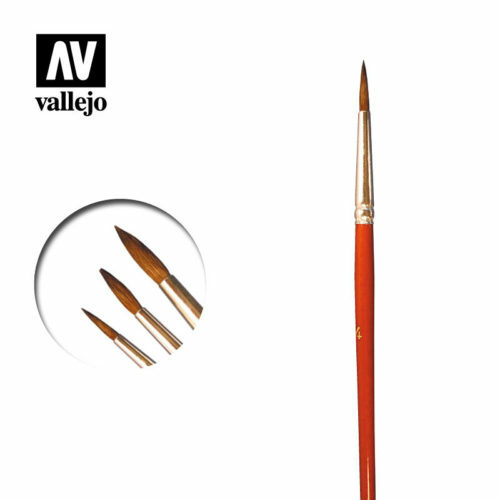 Size: #2-4-6-8-10-12. Toray Brush with triangular handle for watercolor & miniatures. Boxes of 12 units. 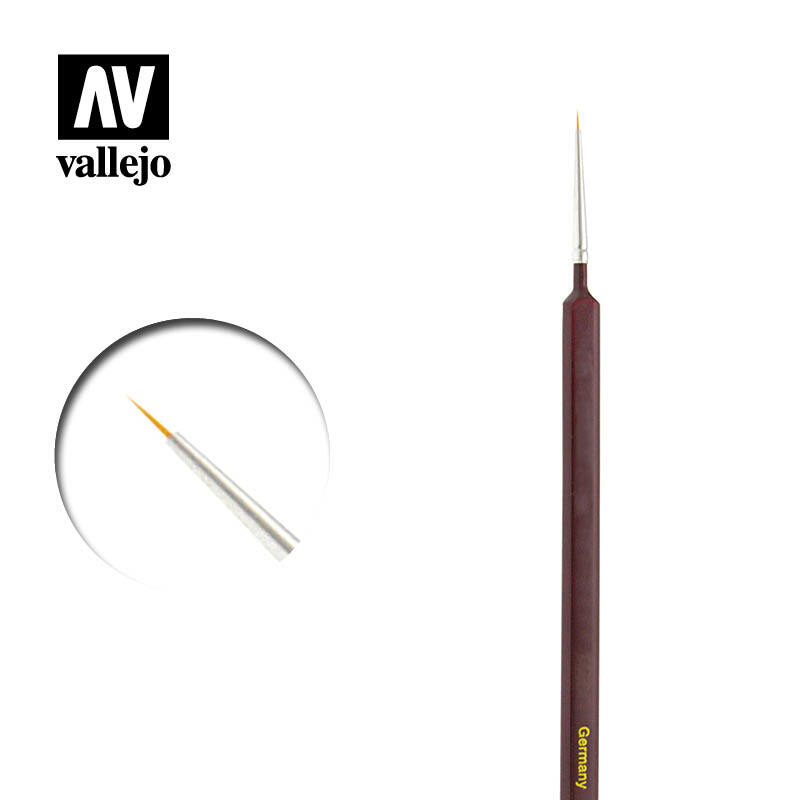 Size: #3/0-2/0-0-1-2-3. 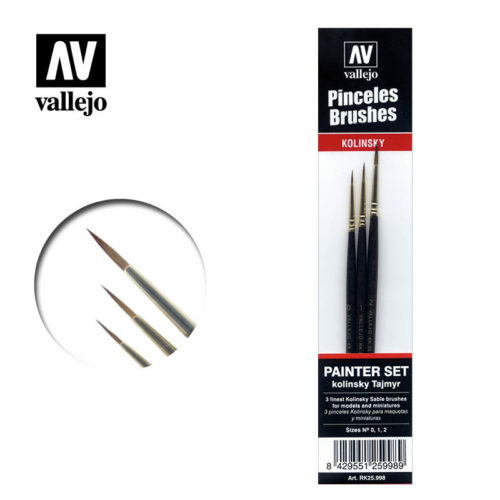 Toray brush for watercolor & miniatures. Boxes of 12 units. Size: #10/0-5/0-4/0- 3/0-2/0-0-1-2-3-4-5-6-7. 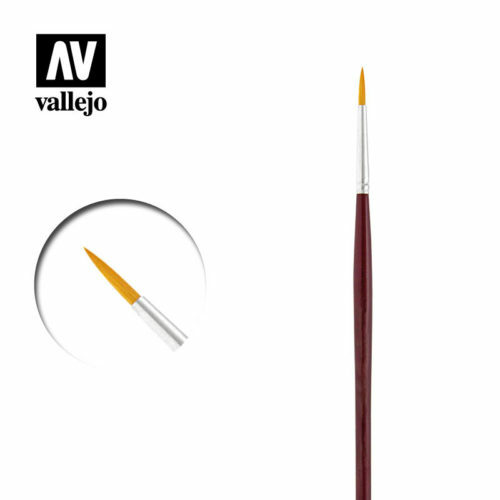 Red sable brush for watercolor & miniatures. Boxes of 12 units. Size: #10/0-5/0-4/0-3/0-2/0-0-1-2-3-4-5-6-7-8. 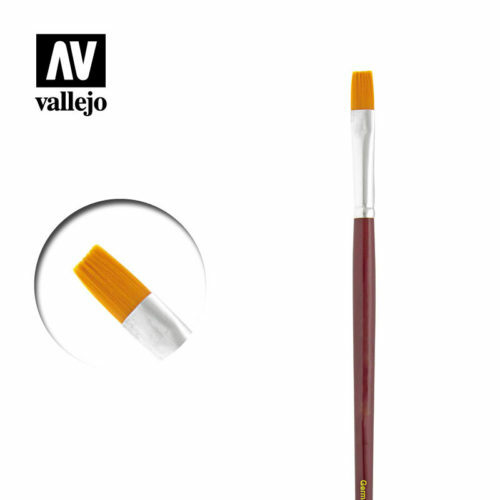 Finest red sable brush for watercolor & miniatures. Boxes of 3 units. Size: #4/0-3/0-2/0-0-1-2.